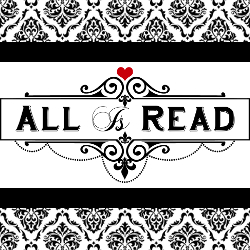 All Is Read : ~*~ Very Twisted Things (A Standalone Briarcrest Academy Novel #3) by Ilsa-Madden Mills ~*~ with Prologue ~ 1st Chapter ~ Review and Giveaway! ~*~ Very Twisted Things (A Standalone Briarcrest Academy Novel #3) by Ilsa-Madden Mills ~*~ with Prologue ~ 1st Chapter ~ Review and Giveaway! I love to read! Duh right? And I love my job as a blogger, I've gotten to meet some pretty interesting people. Some I chat with every day; some I can't imagine how they weren't in my life from the beginning, and some really great writers. Writers that I necessarily wouldn't have read if it weren't for the Indie community and its outreach. Well one of those writers is Ilsa Madden-Mills. For a year I was hollered at to read the Briarcrest Academy and I just never got to it. Fortunately I did, a few months ago; and when I sat down to read I had an Ilsa weekend! I read every single book, non-stop! She's that good! So when I found out Very Twisted Things (A Stand Alone) was coming, I was ecstatic!! I just knew I would love it! I knew it would be fantastic writing. I knew the chemistry would be ever present and undeniable. I knew Sabastian Tate would make me fall for him. I knew I would devour the words without fail. What I didn't know is that from the jump I was gut punched. I didn't know the pain would be lodged in my throat. I didn't know the solitude would feel so very real. I didn't know cockiness would make me smirk and giggle. Every time! I didn't know that VTT would turn out to be my favorite. I didn't know that the beauty of raw need, and acceptance was going to make me swoon in my chair. Oh I didn't know there was going to be another book! <--- oh yes! I want that book like NOW! And I wasn’t prepared for Violet to be in my coveted group of Book Girlfriends. Yes I have a group for the ladies…just go with it… J I didn’t expect the dry humor. There isn't much more I can say. If you like to read, if reading is your passion; your getaway, your lifeline, and you haven't read The Briarcrest Academy yet you are seriously missing out on an amazing time being lost in a story.